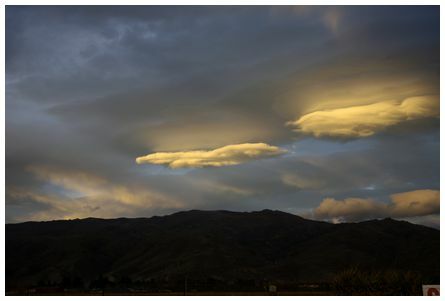 'We were just going through the outskirts of Cromwell when I noticed these striking clouds above the hills. Taken 16:55 on 4 June 2011. Camera: Pentax K200 DSLR, ISO 100, 1/60 sec, F/4.5, 38mm focal length' wrote Mike. 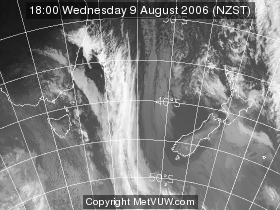 'Unstable (forecast) front approaching Muriwai. Showing lots of vertical development. 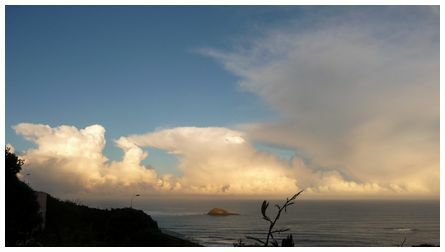 Taken at 08:00 on 19 May 2011. Thundery showers and perhaps hail was predicted for later that day' wrote Ron. 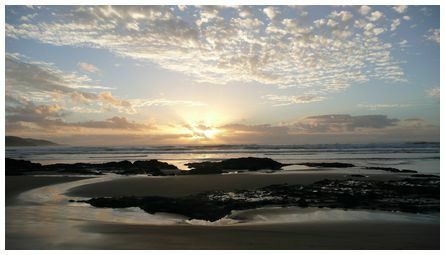 'Sunset at Ahipara, Northland, taken at 17:00 on 8 June 2011' wrote Kate. 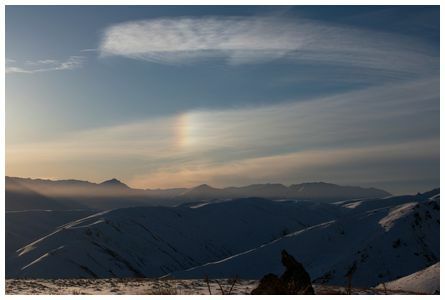 'This picture was taken at 16:44 on 23 July 2011 looking northwest over Pisa Range on a poled route approaching Meg Hut. Thanks for your great website' wrote Stewart. This photo shows a nice sundog (JMcG). 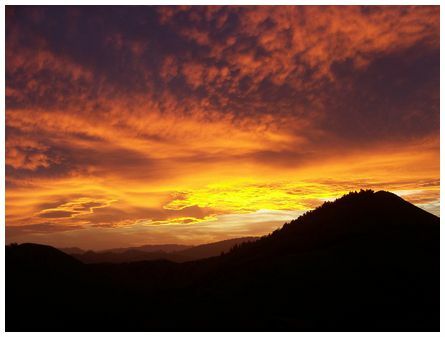 'Sunset at 20:20 on 27 November 2009 while out hunting north of Gisborne. The colours started very subtle and just kept getting better and better. Taken on a Kodak Z612 on automatic' wrote Mark. 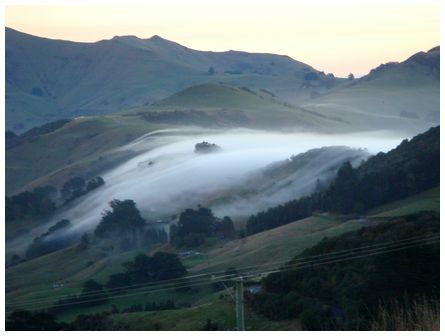 'Taken at dusk on 3 July 2011 on the summit road, heading for Christchurch, fog spilling over from Pigeon Bay. Sony Cybershot camera' wrote Wendy. 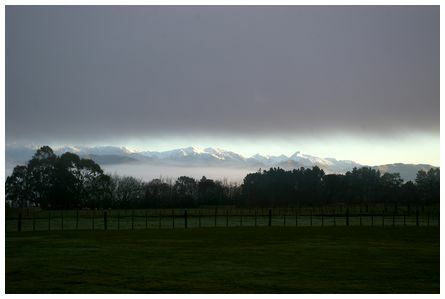 'View of the Tararua Ranges in the Wairarapa through the fog, taken at 07:45 on 4 August 2011' wrote Christine.